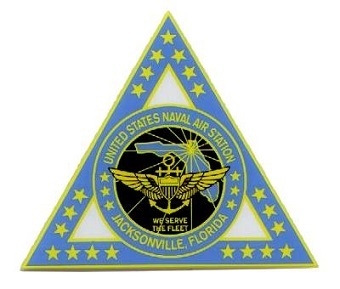 Naval Air Station Jacksonville, often abbreviated as NAS JAX, is a military airport located four miles south of the central business district of Jacksonville, Florida in Duval County. It's on the St. John's River and Mulberry Cove. Approximately 20 miles to the northeast of NAS JAX is the Naval Station Mayport. 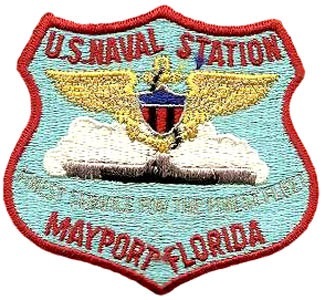 NAS Mayport is a major U.S. Navy base near coastal Atlantic Beach. It contains a protected harbor that can accommodate aircraft carrier-size vessels, ship's intermediate maintenance activity (SIMA) and a military airfield. Since its commissioning in December 1942, NS Mayport has grown to become the third largest naval surface fleet concentration area in the U.S. It's is also home to the Navy's United States Fourth Fleet, reactivated in 2008 after being deactivated in 1950. The St. John's River was the point of discovery of Jacksonville and Mayport, FL. The French charted the river and set up a small settlement there. The Spanish came from St. Augustine and ran them off, however. The Spanish sold Florida to the United States in 1821. The land had been settled by native peoples for approximately 2,500 years. The Naval Station Mayport Jacksonville home buyer might live where place names bear their nomenclature still. Mayport was known for its lumber and fishing industries. Naval Station Mayport Jacksonville FL homes became especially sought after by Portugese and French immigrants due to the fish. When the railroad came to town, Mayport Village suddenly had a method of getting their lumber, crops and fish to market. Following the Civil War, the town became a fine resort. Naval Station Mayport Jacksonville real estate has grown to such an extent that the city limits have basically swallowed the Duval County boundaries. 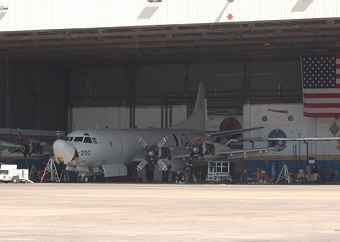 Mayport is a village within Jacksonville. The Naval Air Station was founded in 1942 and has grown to be the third largest naval surface fleet installation in the U. S. Many Navy personnel and their families rotate in an out of Naval Station Mayport each year, swelling Mayport-Jacksonville's population. Naval Station Mayport Jacksonville homes tend to have three to five bedrooms and an estimated value of $140,000. They are generally thirty years to less than ten years old. Kids living on Naval Station Mayport Jacksonville FL real estate will be attending some of Newsweek's list of top Duval County schools, but when they're not in school, they'll be in the park. Keep in mind that there is a lot of water around Mayport and Jacksonville, so parks tend to have beaches and RV parking. Amenities include camping, hiking and biking and picnic facilities. Maps, addresses and phone numbers of the parks can be found at http://www.visitjacksonville.com/things-to-do/outdoors/. Finding attractions in the Jacksonville-Mayport area shouldn't be difficult for the buyer of Naval Station Mayport Jacksonville homes for sale. Begin with the St. John's River lighthouse. If new owners of homes for sale in Naval Station Mayport Jacksonville don't have access to the base, upon which the lighthouse stands, the best view would be from the water. A public ferry to St. George Island would be a good viewing spot and when the island is attained, it has a cultural park to check out. The Cummer Museum and Gardens in Jacksonville provide beauty and culture and something for the whole family to see. Read more at http://traveltips.usatoday.com/things-mayport-florida-102048.html. Town events will be important to seekers of real estate in Naval Station Mayport Jacksonville. Do you care for live music? Check out Cher, Barry Manilow, Mama Mia! and the Jax Symphony Orchestra. Prefer something more active? Check out the Florida Georgia Weekend Block Party or McKenzie's Run. New owners of Naval Station Mayport Jacksonville properties will find plenty of food, fun, music, plays, sports and festivals at www.jaxevents.com/events-calendar/.